November 4th in Theme Lists, WordPress Themes by Wordpress Jedi . 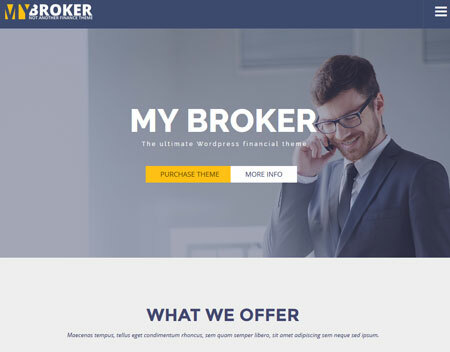 My Broker: a responsive financial theme integrated with Visual Composer, Revolution Slider, and WooCommerce. It has Google Fonts, mega menus, and custom shortcodes. 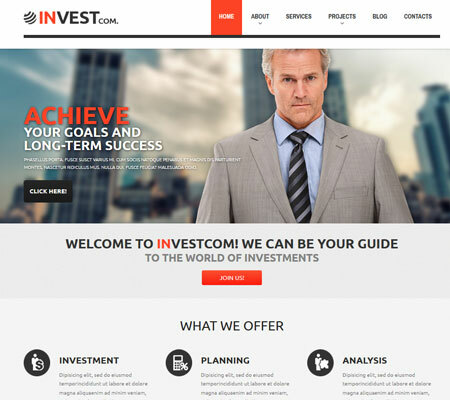 Solid Investment: a WordPress theme for investment companies and stock brokers. It is responsive and fairly easy to customize. Solid Investment has a responsive design, Google fonts, and video/audio integration. It is coded in HTML5 and CSS3. Experts: has multiple homepage styles, a drag & drop page builder, and a retina ready design. It offers WooCommerce integration. 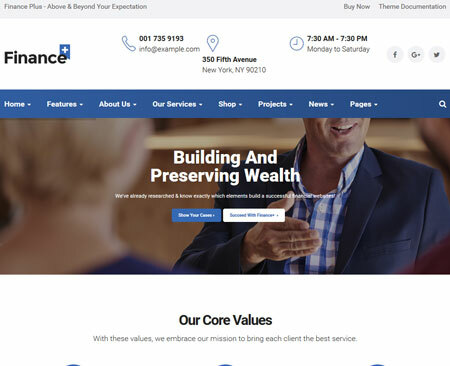 Investment Company: a 100% responsive commercial theme with Google fonts, multiple color options, and custom widgets. It is powered by Cherry Framework. 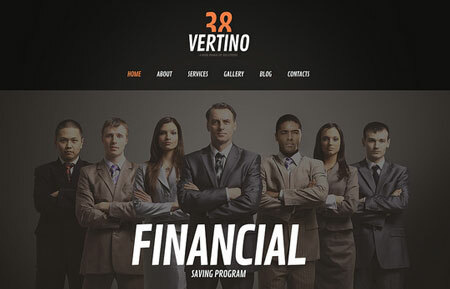 Broker: designed for financial companies, this premium theme is responsive and retina ready. It can be customized with Visual Composer. 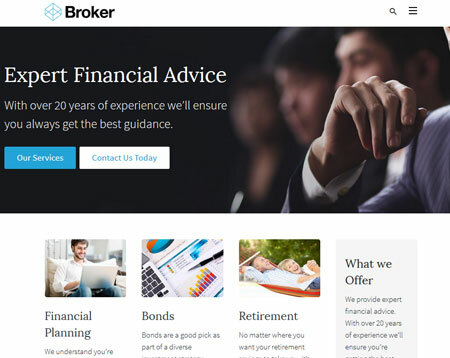 Financial Advisor: a professional theme for stock brokers and wealth advisors. It is coded in CSS3, HTML5, and jQuery. It is optimized for lead generation. 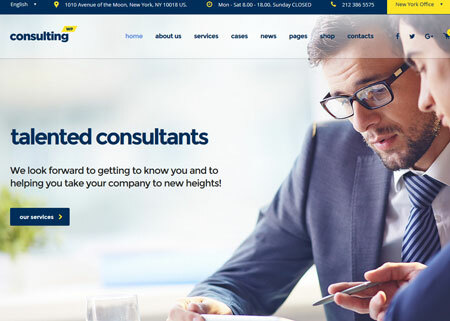 Consulting: designed for investment professionals and consultants. It is easy to customize with multiple header and layout options. It is responsive and integrated with Google Maps. 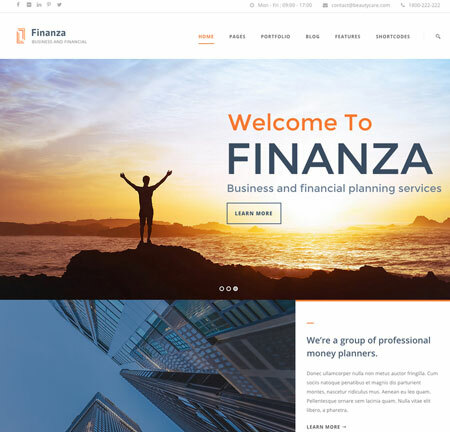 Finanza: this theme is designed for financial advisors, investment sites, and wealth management professionals. It has a page builder, sliders, custom shortcodes, a mega menu system, and WooCommerce support. 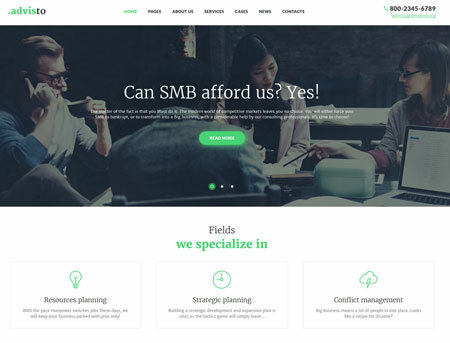 FinancePlus: comes with over 12 color styles, 6+ headers, sliders, Visual Composer, and WooCommerce support. It is ready for corporate videos. 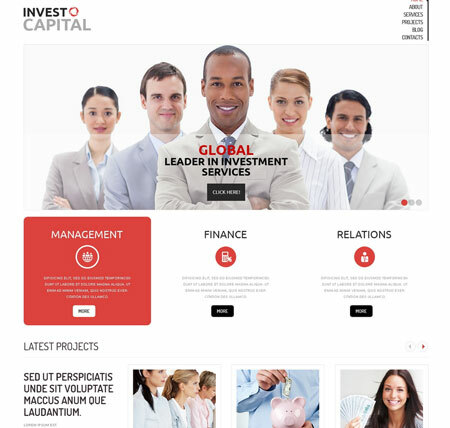 Investment Business: this commercial theme has blog and portfolio functionality. It has Google fonts and various custom page templates. It is coded in HTML5, CSS3, and jQuery. Industry: a multipurpose theme for manufacturing, construction, and finance companies. It has multiple homepage layouts and unlimited colors. 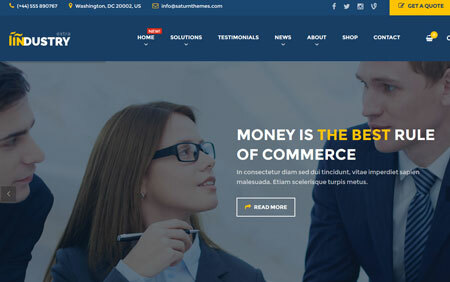 It comes with Visual Composer and supports WooCommerce. 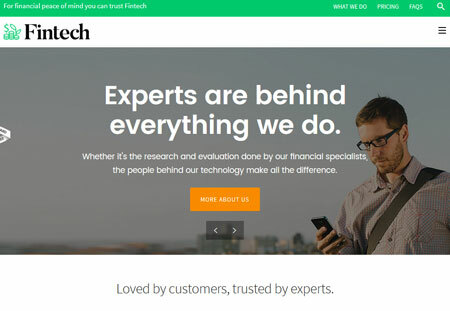 Fintech: a clean commercial WordPress theme for startups. It is responsive and ready for retina displays. It comes with LayerSlider. 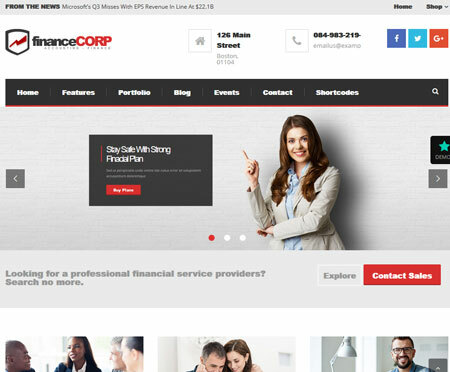 Finance Corp: has 2 portfolio styles and 5 navigation designs. It supports WooCommerce and Visual Composer. Ready to be translated. Supports RTL languages. Advisto: a theme for financial companies with a drag & drop page builder and 25+ modules. It is responsive and ready for Retina displays. 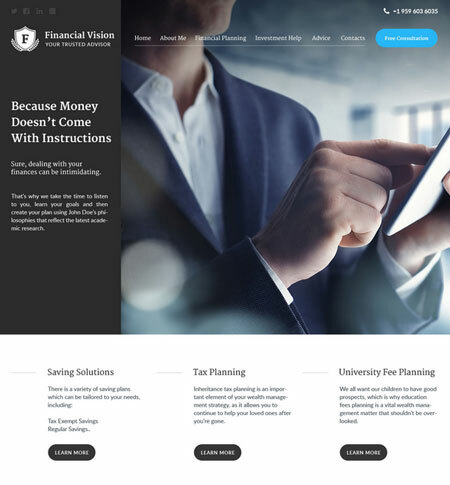 Financial Vision: a clean theme for investment businesses. It comes with Google Maps, custom page templates, drag & drop design, and Cherry Framework 4. 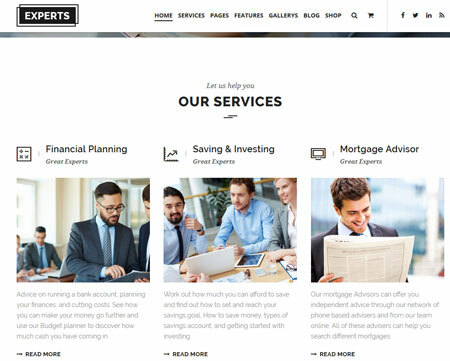 Have you found better themes for brokers and investment businesses? Please share them here.